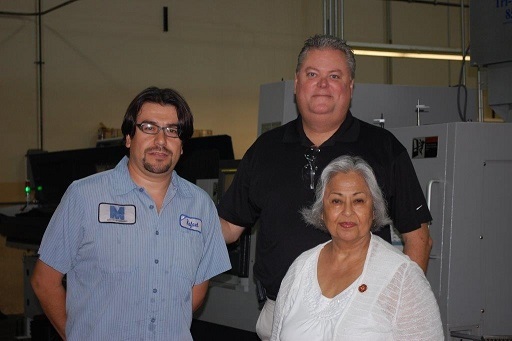 News - Congresswoman Gloria Negrete McLeod visits Metric Machining. and concerns they had about manufacturing in her district. Congresswoman McLeod represents the 35th Congressional District of California which covers Chino, Fontana, Pomona and Ontario (where Metric is located). 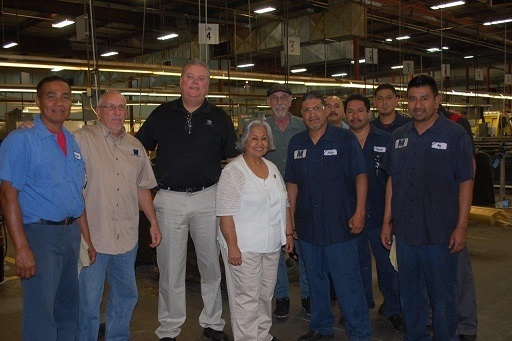 The Congresswoman was given a tour of the shop and learned how the company has grown and changed over the years. David Parker, shown behind McLeod in the image along with other members of the team. From left to right: Sal, Steve, David, Gloria, Robert, Jesus, Jose, Daniel, Johnny and Rey. Topics of discussion included the challenges of manufacturering in the current economic climate, regulatory issues, trade policies and the need for more trained machinists and operators. As we approach our 40th anniversary, Metric Machining understands how vitally important it is to stay in contact with our elected repesentatives in order to help maintain business continuity through the next 40 years. 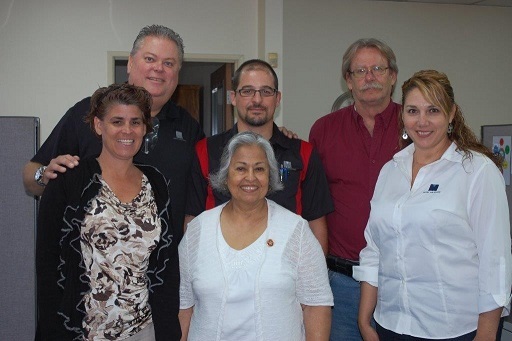 Members of the Metric management team shown with Congresswoman McLeod. Congresswoman McLeod has a strong background in vocational training, working with community colleges in the local area and understands the need for more skilled machinists and operators in North American manufacturing. McLeod got to see our training programs and our ongoing partnerships with local schools to promote vocational programs. Rafael Q. (CNC Swiss lead shown with Mr. Parker and Congresswoman McLeod.